Brand USA yang terbukti mengerti dan memahami jelas kebutuhan burung kesayangan anda! Kali ini lebih detail dan lebih upate koleksi kaytee untuk para pecinta PARBENG se-indonesia ! Makanan sehari-hari yang di adopsi dari banyaknya aneka ragam bahan mulai dari sayuran, rumput, biji-bijian seperti natur alami burung di habitat aslinya. Ground Corn, Striped Sunflower, Milo, Corn, Ground Wheat, Corn Gluten Meal, Dehulled Soybean Meal, Whole Peanuts, Oat Groats, Wheat Middlings, Almonds, Pine Nuts, Dried Black Current Berries, Ground Oat Groats, Filberts, Pumpkin Seed, Dehydrated Apples, Dried Rose Hips, Dried Laurel Leaves, Dried Cherry Bark, Dried Beet Pulp, Soy Oil, Dicalcium Phosphate, Calcium Carbonate, Ground Flax Seed, Dried Whole Egg, Wheat Germ Meal, Salt, L-Lysine, Vitamin A Supplement, Choline Chloride, Algae Meal, Fructooligosaccharide, Brewers Dried Yeast, Vitamin E Supplement, Riboflavin Supplement, Vitamin B12 Supplement, DL-Methionine, Sun-cured Alfalfa Meal, Mixed Tocopherols (a preservative), Yeast Extract, Ferrous Sulfate, Zinc Oxide, Manganous Oxide, Menadione Sodium Bisulfite Complex (source of vitamin K activity), Niacin, Yucca Schidigera Extract, Calcium Pantothenate, Copper Sulfate, Rosemary Extract, Citric Acid, Pyridoxine Hydrochloride, Thiamine Mononitrate, L-Ascorbyl-2-Polyphosphate (source of vitamin C), Cholecalciferol (source of vitamin D3), Folic Acid, Beta-Carotene, Calcium Iodate, Biotin, Cobalt Carbonate, Sodium Selenite, Dried Bacillus licheniformis Fermentation Product, Dried Bacillus subtilis Fermentation Product, Yellow 5, Blue 1. Allergen information: Contains peanuts and/or other tree nuts. Ground Corn, Striped Sunflower, Ground Wheat, Dried Mango, Dried Papaya, Milo, Dried Bananas, Dehulled Soybean Meal, Corn Gluten Meal, Pistachios, Whole Peanuts, Wheat Middlings, Coconut, Dried Red Peppers, Dried Pineapple, Ground Oat Groats, Almonds, Brazil Nuts, Pumpkin Seed, Hibiscus Petals, Dried Beet Pulp, Soy Oil, Dicalcium Phosphate, Calcium Carbonate, Ground Flax Seed, Dried Whole Egg, Walnuts, Macadamia Nuts, Wheat Germ Meal, Salt, L-Lysine, Cashews, Pecans, Vitamin A Supplement, Choline Chloride, Algae Meal, Fructooligosaccharide, Brewers Dried Yeast, Sun-cured Alfalfa Meal, Vitamin E Supplement, Riboflavin Supplement, Vitamin B12 Supplement, DL-Methionine, Mixed Tocopherols (a preservative), Yeast Extract, Ferrous Sulfate, Zinc Oxide, Manganous Oxide, Menadione Sodium Bisulfite Complex (source of vitamin K activity), Niacin, Yucca Schidigera Extract, Calcium Pantothenate, Copper Sulfate, Rosemary Extract, Citric Acid, Pyridoxine Hydrochloride, Thiamine Mononitrate, Cholecalciferol (source of vitamin D3), L-Ascorbyl-2-Polyphosphate (source of vitamin C), Folic Acid, Beta-Carotene, Canthaxanthin, Calcium Iodate, Biotin, Cobalt Carbonate, Sodium Selenite, Dried Bacillus licheniformis Fermentation Product, Dried Bacillus subtilis Fermentation Product, Red 40, Yellow 5, Blue 1. Allergen information: Contains peanuts and/or other tree nuts. Sunflower, Safflower, Oat Groats, Pumpkin Seed, Ground Corn, Wheat, Corn, Peanuts, Almonds, Raisins, Dried Papaya, Shelled Peanuts, Green Split Peas, Buckwheat, Ground Wheat, Oyster Shell, Milo, Dried Bananas, Corn Gluten Meal, Pinto Beans, White Northern Beans, Ground Flax Seed, Squash Seed, Dried Pineapple, Red Peppers, Red Lentils, Filberts, Pistachios, Dehydrated Carrots, Wheat Flour, Ground Rice, Dehydrated Sweet Potatoes, Rice Flour, Dried Coconut, Dehydrated Apples, Pinenuts, Dehulled Soybean Meal, Wheat Middlings, Sun-cured Alfalfa Meal, Dicalcium Phosphate, Soy Oil, Calcium Carbonate, Wheat Germ Meal, Dextrose, Ground Oats, Dried Beet Pulp, Dried Whole Egg, Salt, Whole Cell Algae Meal (source of Omega-3 DHA), Brewers Dried Yeast, Vitamin A Supplement, Choline Chloride, L-Lysine, Fructooligosaccharide, Hulled Millet, Canary Grass Seed, kracked Corn, Small Yellow Millet, Hulled Sunflower, Dried Cane Molasses, DL-Methionine, Maltodextrin, Partially Hydrogenated Soybean Oil, Reduced Lactose Whey Powder, Dried Nonfat Yogurt Powder, Vitamin E Supplement, Vitamin B12 Supplement, Spirulina, Yeast Extract, Sesame Seed, Palm Stearate, Riboflavin Supplement, Mixed Tocopherols (a preservative), Gelatin, Honey, Potassium Sulfate, Ferrous Sulfate, Zinc Oxide, L-Carnitine, Rosemary Extract, Citric Acid, Manganous Oxide, Menadione Sodium Bisulfite Complex (source of vitamin K activity), Niacin, Calcium Pantothenate, Orange Oil, Vanilla, Copper Sulfate, Pyridoxine Hydrochloride, Cholecalciferol (source of vitamin D3), Thiamine Mononitrate, Folic Acid, Canthaxanthin, Calcium Iodate, Cobalt Carbonate, Biotin, Dried Bacillus licheniformis Fermentation Product, Dried Bacillus subtilis Fermentation Product, Beta-Carotene, Sodium Selenite, Artificial Color. Allergen information: Contains peanuts and/or other tree nuts. 100% Pelet ! yang merupakan makanan pokok / dasar yang bernutrisi lengkap, tidak lupa di tambah dengan vitamin, probiotik yang berguna untuk kualitas bulu, warna bulu dan kesehatan yang terjamin. Warna yang menarik menjadi daya tarik yang luar biasa untuk Kaytee exact rainbow menjadi pilihan yang tepat ! Tidak lupa aroma buah-buahan yang menggugah selera. 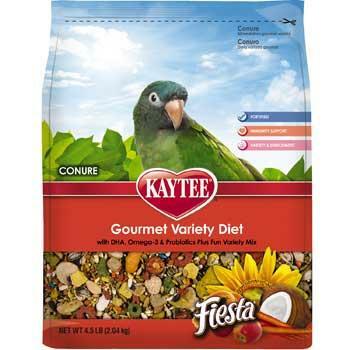 Ground Corn, Ground Wheat, Ground Oat Groats, Corn Gluten Meal, Wheat Middlings, Soybean Meal, Dried Whole Egg, Dried Beet Pulp, Soy Oil, Ground Flax Seed, Dicalcium Phosphate, Calcium Carbonate, Wheat Germ Meal, Corn Sugar, L-Lysine, Salt, Algae Meal (source of DHA), Fructooligosaccharide, Brewers Dried Yeast, Vitamin A Supplement, Choline Chloride, Dried Cane Molasses, Titanium Dioxide, Mixed Tocopherols (a preservative), Yeast Extract, DL-Methionine, Yucca Schidigera Extract, Vitamin E Supplement, Vitamin B12 Supplement, Riboflavin Supplement, Manganese Proteinate, Copper Proteinate, Ferrous Sulfate, Zinc Oxide, Manganous Oxide, Menadione Sodium Bisulfite Complex (source of vitamin K activity), Niacin, Rosemary Extract, Citric Acid, Calcium Pantothenate, Copper Sulfate, Thiamine Mononitrate, Pyridoxine Hydrochloride, Cholecalciferol (source of vitamin D3), Beta-Carotene, Canthaxanthin, Folic Acid, Calcium Iodate, Biotin, Cobalt Carbonate, Sodium Selenite, Dried Bacillus subtilis Fermantation Product, Dried Bacillus licheniformis Fermentation Product, Artificial Colors, Natural and Artificial Flavors. Allergen information: Manufactured in a facility that processes peanuts and other tree nuts. 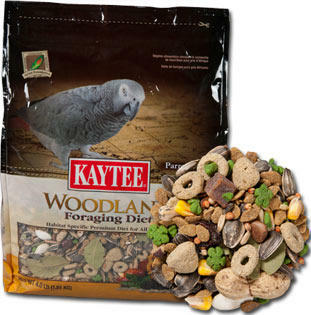 Makanan Parrot ... small - large parrot !! Kaytee food untuk paruh bengkok anda!! 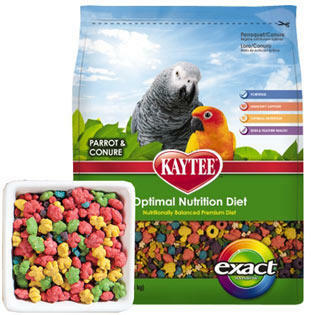 Produk Kaytee for parrot ! 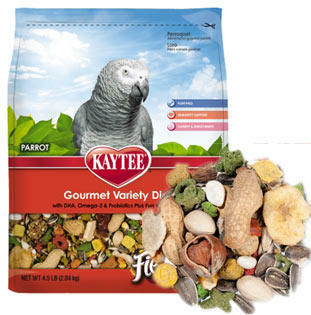 KAYTEE Handfeed mash ada bro? bisa cod?